Lori’s practice includes contractual disputes, strata property disputes, professional negligence claims and construction litigation. She represents clients in the Provincial and Supreme Courts of British Columbia. Her litigation practice focuses on providing practical, cost-effective solutions for her clients. Lori works hard to ensure her clients are fully and fairly represented in the courtroom and informed throughout the litigation process. Prior to joining the firm, Lori practised at a multi-practice firm in Richmond. 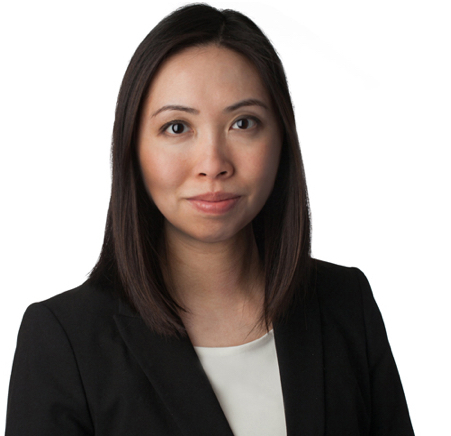 Lori served on the Board of Directors of the Federation of Asian Canadian Lawyers, BC Branch, and maintains a strong commitment to the community through her volunteer involvement. During law school, Lori competed in the Philip C. Jessup International Law Moot Court Competition and was awarded the Blake, Cassels & Graydon LLP Prize for real estate. Lori also served as the Director of Operations for the UBC Law Students’ Legal Advice Program. Lori speaks Cantonese and routinely assists Chinese-speaking clients.